It is time for my annual "Wouldn't Mind Holiday Wish List". I thought I would start out with some ideas to help get everyone into the holiday spirit! And this year is probably the richest trove of awesome gear I have ever amassed in one season. If you haven't noticed, this has been a great year for new and innovative product offerings from a wide range of sources. Mobile technology, photography, commuting, entertainment, toys and novelties are all covered here. So let's get started. I'll just start out with the "biggest" for the season right off the bat and the bad news is some of these are already going to prove hard to not impossible to find. But I am putting everything here and letting the cards land as they may. An iPad Christmas? That is what Tim Cook (Apple's CEO) is calling this holiday season. And why wouldn't he be confident!? Apple just dropped the bomb of an all-new iPad Air. This 9.7" iPad still features the amazing 3.1 million pixel Retina display and is packaged in a new smaller and lighter form-factor. 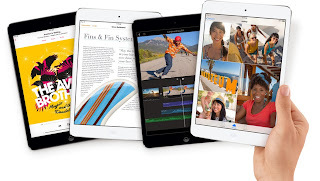 As a matter of fact, the new iPad Air weighs just 1-pound which is 28% lighter than the previous iPad! And that weight-loss combined with a device that is 20% thinner creates an incredibly new user experience. It is so much easier to hold one handed now for extended periods of time. Great for reading a book or surfing the web. And not to be outdone and to further help ensure Apple is having an iPad Christmas, they also released a new version of the iPad Mini with Retina display. The previous introduction of the Mini was limited to the original iPad 1's resolution but this new device is much cleaner and crisper with the same resolution of its larger iPad Air incarnation. It also benefits from the new, fast, 64-bit A7 processor and the option to get 128 gigabytes of storage. It should be noted that while the iPad Air will probably be in fairly good supplies, the Retina iPad Mini may be limited in availability. If you want one of these...you better get your order or get in line quickly. 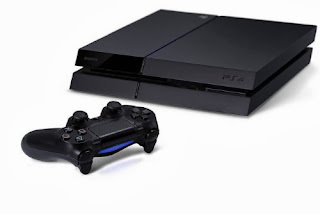 Speaking of hard to get, I would also be remise if I didn't mention the Playstation 4 and Xbox One. Truth be told these will be hard to secure at this point but they are great systems and should be a wonderful gift for those avid game players on your list. I am not going to go into great lengths here, you know if you have a video game player in your life and if you need to get one of these things most likely. But I did want to mention start looking now or consider it an uphill battle to find it in time for the holidays! How about something to get us into the holiday spirit? 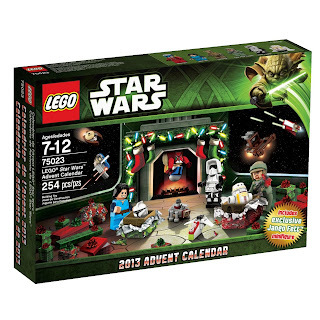 How about the 2013 Lego Star Wars Advent Calendar to kick it off and count it down! This is an annual tradition at our home and is fun for every "sci-fi geeky family" holiday. 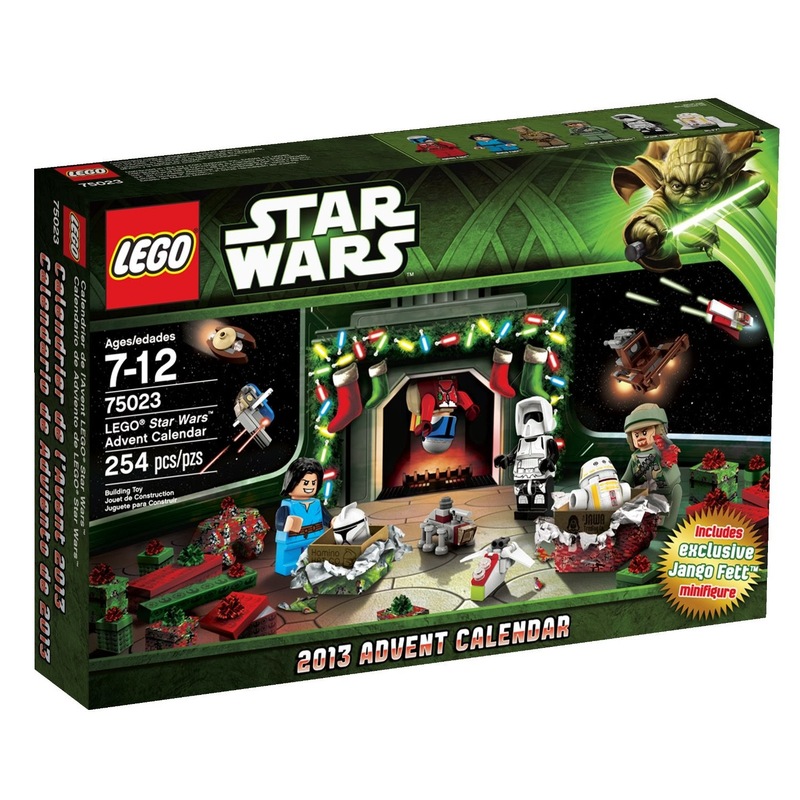 This year you will find a slew of very cool mini Star Wars Lego character figures and vehicles. Another nice surprise is that last year many complained about the limited number of Lego pieces and a big price increase. Well this year I am pleased to report that the number of pieces have increased and the price has come back to the traditional $39 vs $49 last year. Definitely a must for the Lego or Star Wars fans at your place. Perhaps some nice holiday songs will get you into the mood? I don't know about you but it is nice to pick up some new Christmas music every year or two and Michael Bublé knows how to make the season bright with his album creatively titled Christmas. 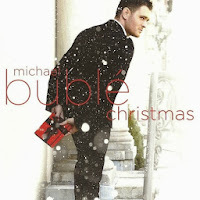 In this album Bublé delivers his classic "rat pack" voice but modernizing those familiar songs with the help of Puppini Sisters (Jingle bells, Frosty the snowman), Shania Twain (White Christmas) and Thalia (Mis Deseos / Feliz Navidad). This is a must have for the holidays to get you in the spirit. This year we also have a new entrant with the introduction of Kelly Clarkson's Wrapped in Red. A holiday album full of familiar as well as some new pieces from the songwriter herself like "Underneath the Tree". Definitely worth checking out. And let us say you want to take those holiday tunes with you no matter where you go and you read my blog, you know I am always on the lookout for the best solutions to untether me and my music. I don't like the constraints of wires...especially when you look at how mobile your media is nowadays with everything on your smart-device. Well Jabra is always looking to help and this year's REVO wireless headphones are a great start! These new wireless headphones unshackle you from your audio device via a high-quality Bluetooth connection and provide enhance sound thanks to its use of Dolby Digital Plus. 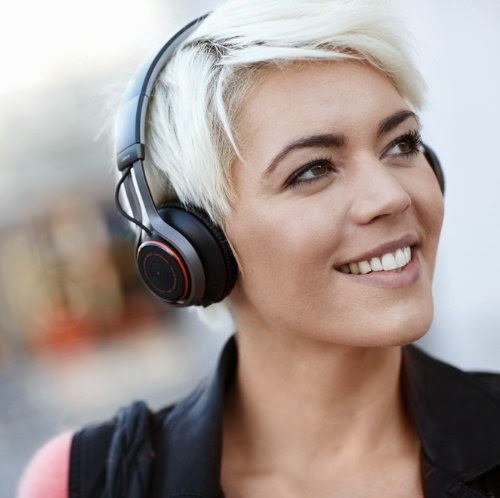 Jabra worked with Dolby to offer this powerful sound with the help of an exclusive Sound App on your mobile device that helps deliver a rich, full-spectrum of sound. The app allows you to preset playlists, share music and adjust the graphic equalizer to your listening preferences. The headphones themselves feature a turntable type setup on the side to interface with the device. Pause, play, volume, take a call, skip songs all in easy reach. You can also leverage the included Near-Field Communications (NFC) to help pair the device with other NFC smart-devices. You should expect up to 12 hours of listening time from my experience and 10 days of standby. I was able to walk away from my iPad and roam into the next room and still make connection. And you can also use the provided cable if and when the rechargeable battery dies. The Jabra REVO's are definitely one of the finest all-around wireless headsets I have experienced to date and well priced at just around $200. 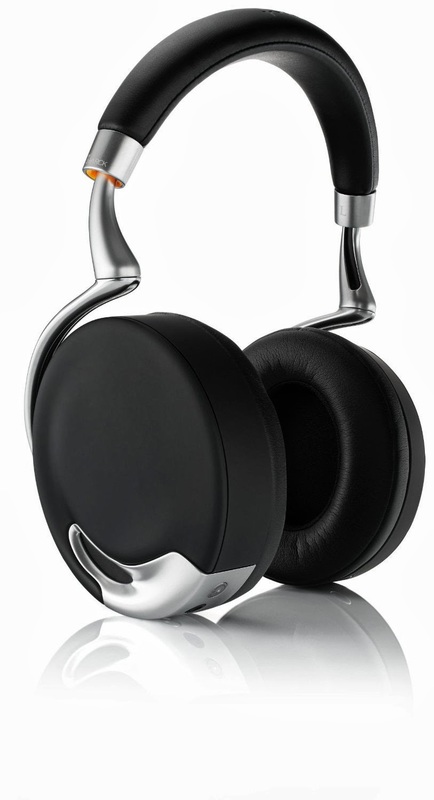 These headphones features four active microphones to provide up to 98% noise reduction. 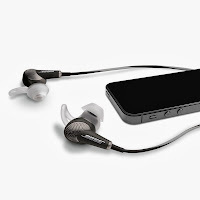 The right ear cup is touch sensitive and controls the volume, song selection and the like. This clever device knows when you put them off and automatically pauses the song. Zik also provides the Audio Suite App to adjust your audio settings. Those last two headphones are not small but they are very high-quality products that deliver amazing sound. Yet I quite often talk about trying to travel as light as possible and sometimes I need to find a more "portable" solution. With regards to my music listening preferences, my latest favorite earbuds are the Bose QuietComfort 20i Noise Canceling headphones. What sets these guys apart from other earbuds is their impressive noise canceling solution. The system can actively cancel out surrounding noise or be dialed down to partially cancel some out in an "Aware mode". You are also provided with an assortment of StayHear tips (S, M, L) to further help isolate the sound as well as improve comfort. These amazing earbuds do come with an amazing $299 price tag...but you won't be sorry you got these for yourself or a wonderful gift. I do wish they were magically untethered from a cable but they are still small and pretty amazing. The Bose QC20i are available with a standard inline microphone or in a more advanced iPhone/iPad microphone control pod. Making that holiday gift list? How about a pen that takes all your handwriting and stores it on your smartphone, tablet or even into the cloud via Evernote or Dropbox? Well that is what the latest Livescribe 3 Smartpen can do for you! 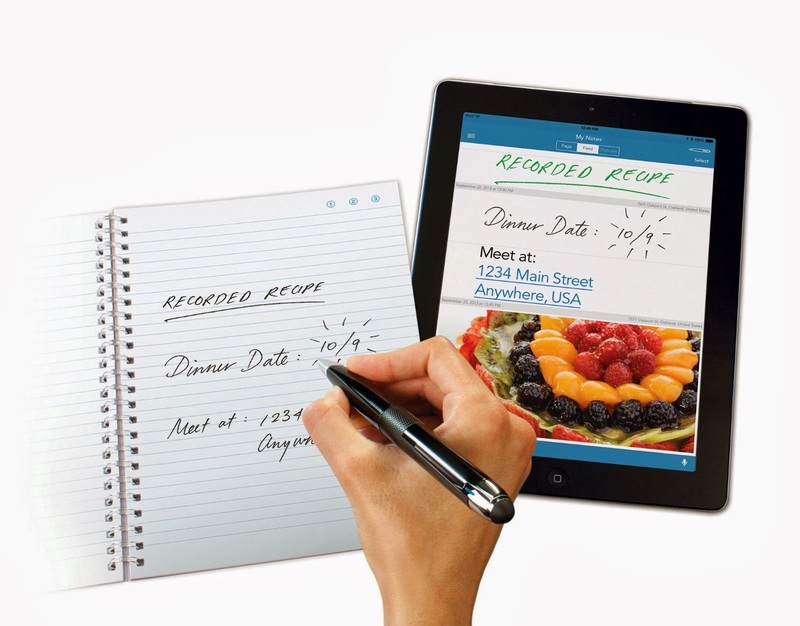 For those of you unexperienced with Livescribe pens, it is a normal looking pen for writing but when you use special paper you can purchase or print out of your printer...the pen records your writing and can store it to your mobile device or online service. Other clever applications include the ability to record audio while you write and have to two synced up on the computer. This is great for finding out what was being discussed while you jotted something down in the notes. Unlike previous Livescribe pens that syncs via a cable or wifi to your computer...the new pen goes straight to your mobile device and from there your writing can go pretty much anywhere. The smartpen syncs to your smartdevice via Bluetooth Smart for live, real-time syncing of whatever you write or draw. As much as you would think it would be great to just use a pen to write directly onto a tablet for note-taking but so far that experience hasn't been as flawless and easy to use as the old pen and paper. Whereas this combo gives you the best of both worlds. I really recommend the Livescribe 3 Smartpen which is priced at around $150 for the standard edition or $200 for the pro edition that includes a Leather Smartpen Portfolio as well as a one-year Evernote Premium Subscription. I use a Livescribe pen every day. While I love using the Livescribe for note-taking and some light doodling. The artist in me does love to sketch and paint on my iPad when the inspiration strikes. My latest favorite product to help in this pursuit is the Wacom Intuos Creative Stylus of iPad. This very advanced stylus will work with iPad 3, 4 and Air as well as the iPad Mini. Wacom is the leader in graphic tablets for artists and this new stylus introduces 2,048 levels of pressure sensitivity for amazing detailed accuracy and a robust palm-rejection solution to prevent the side of your hand from smudging the image as you rest your hand on the iPad as you draw. This new stylus is well integrated in many popular creative apps including Sketchbook, PSTouch, ProCreate, ArtRage and Bamboo Paper. One thing to keep in mind is that if you get this stylus, you don't pair it via the normal Bluetooth process but instead within the apps themselves. This is a professional level graphics solution priced at less than $100. Definitely a nice gift for the artist you know! Before I forget, I have been talking about a lot of gear to use with your smartdevice. And for me and many people, that tends to be iPhones, iPads and the usual Apple gear. 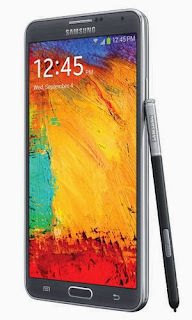 But I do want to talk about another awesome smartdevice, the Samsung Galaxy Note 3. The Note 3 is a different type of smartphone. It is a large phone with a 5.7 inch screen. The iPhone screen is only 4 inches and truth be told...it is a starting to feel a bit small to me. Almost cramp. Maybe my older eyes are feeling the strain but whatever the reason...bigger is probably better. Now the Galaxy Note 3 is running Android and I am still firmly in the camp that the Android app universe is a distant 2nd to Apple. And the Android user experience is much more confusing overall. But the Note is a quality constructed piece of gear and for the most part is totally livable. So instead of talking about its limitations...lets start out with why it is great. That 5.7 inch screen gives you a lot of real estate to view important information. The display is very bright and high resolution. The phone feels fast. Much faster than previous Android phones I have used. This is probably because the Note 3 is one of the few Android phones to give you a full 3-gigabytes of system memory. That extra memory must give the operating system plenty of room to breath. But the coolest thing about the Note 3 is a hidden "S Pen" that when pulled out allows you to write and draw on the screen. 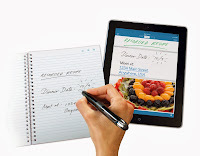 It is a very nice experience that is great for taking notes on the go. And yes, this phone is chuck full of all the latest must-have features. A 13-megapixel camera, Voice Control, 4G LTE network speed, etc. All and all, the Samsung Galaxy Note 3 is very nice smartphone as long as you are okay with the size. Check it out! Worried about putting on some pounds over the holidays? A popular gift in my circle of friends over the past couple years has been the amazing fitness trackers made by Fitbit. And this year is no except with the introduction of the Fitbit Force Wireless Activity + Sleep wristband. Like previous versions, the Fitbit will track your steps, distance, calories burned, stairs climbed, active minutes and a sleep monitor. These stats are wirelessly synced to your mobile device and available for your review on the Fitbit app or online. What is unique about this years offering is the inclusion of an actual timepiece to help "tell the time" but also to provide new services like a silent vibrating alarm to wake you up in the morning. 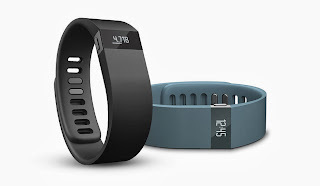 The gift of health is a very thoughtful gift and I really like what Fitbit has refined over the years. Quality construction and inspirational guidance to help anyone and everyone get more active. Available at Fitbit.com for $130. Does someone not reach out and call enough? Perhaps the gift of free home phone service will help? I don't know if you have been following the phenomenon of "voice over IP" technology but the Ooma Telo is a device that you hook up to your internet broadband connection and to your regular home phones to create a new type of solution that can call anyone within the U.S. for free! You only have to pay the applicable taxes or fees with telecommunications. Businesses have been leveraging the cost-saving of voice over IP for years but Ooma has successfully brought about a product to bring it to everyone. The voice quality is pretty amazing. 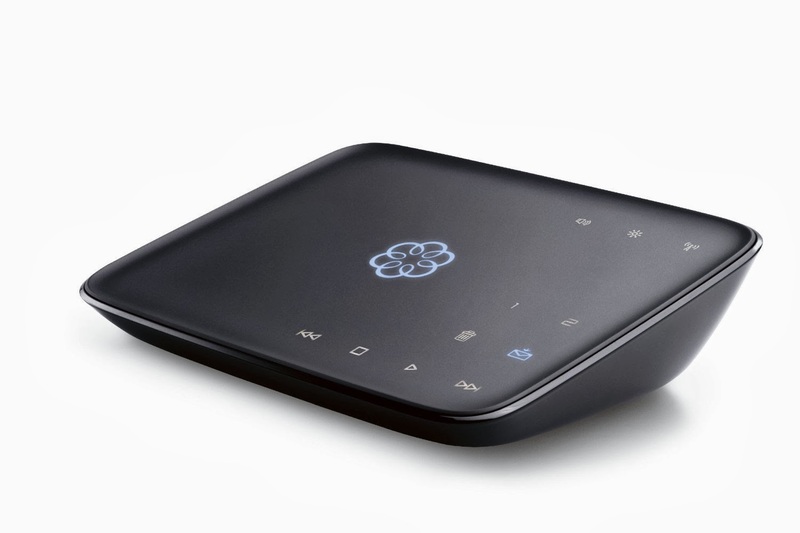 Be sure to check out the Ooma Telo Free Home Phone Service for less than $120 on Amazon. Also note the over 3,500 reviews on Amazon with an overall score of 4 1/2 stars. Very impressive! Speaking of cool technology that leverages your home internet connection. 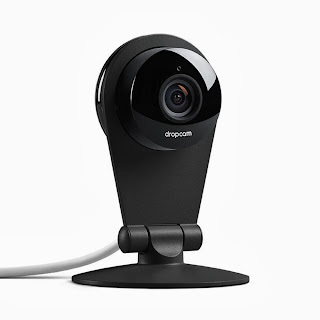 You should check out the Dropcam Pro Wi-Fi video monitoring camera. The Dropcam provides wireless monitoring of a home or office. The video footage is streamed to the cloud and is accessible via your smartphone, tablet or computer. Some nice features include the mobile app, intelligent alerts if motion or sound is heard, night vision and two-way talking from your mobile device to the camera on-site. Dropcam also offers optional services including a cloud-based recording solution that can capture a month of video footage. Check out the $199 Dropcam and give someone the piece of mind of being able to check on their home, children or pet while away. 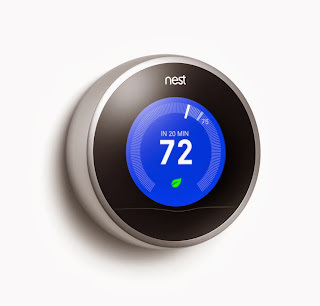 Another way to keep an eye on the house as you are busy getting ready for the holidays is the new Nest Learning Thermostat. Here is a replacement to your old and tired thermostat with a high-tech, wirelessly connected device. The Nest will auto-schedule itself to remember when you come home and leave the home to help save costs. It is a wi-fi device that sits on your home network and allows you to adjust the settings with your smartphone, tablet or computer. Nest is very easy to install, typically just takes 30 minutes to get going and will pay back its $249 cost in no time with the potential energy savings of such a smart device. How about some help setting the mood? Okay these next two items might be "unusual" gifts but I always believe that a great gift is something that the person will enjoy but probably will not go out and immediately get for themselves. And the Philips Hue Personal Wireless Lighting really falls into that gap. This is not your normal set of lightbulbs...Hue does just that...it changes the color in your life. 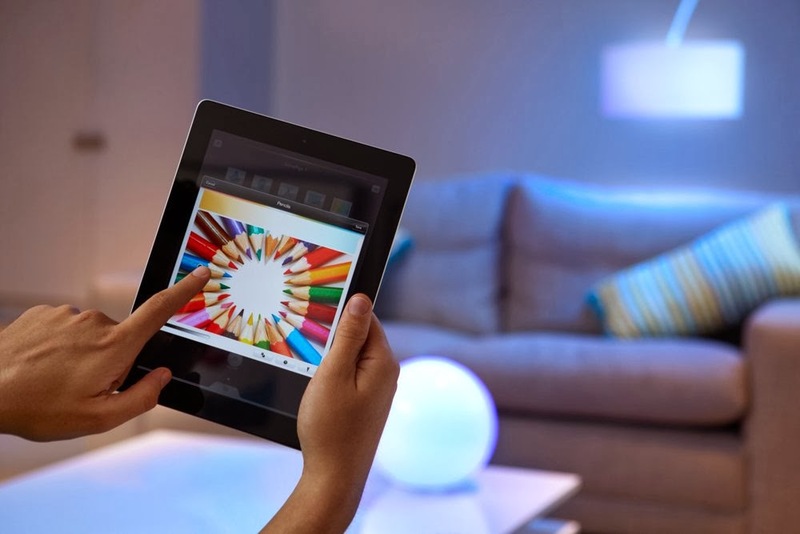 These lightbulbs are connected via Wi-Fi and work with a mobile app to adjust the color of your room. Before you count these out, think about it. You can set the lights to a more relaxed setting when appropriate or to a more bright setting when you need to get to work. Now lets talk about even the more practical applications including the ability to set the lights conveniently on a timer including the ability to have the lights gradually brighten over time to wake you up in the morning. Or to be able to turn the lights on and off when you are away from the home. 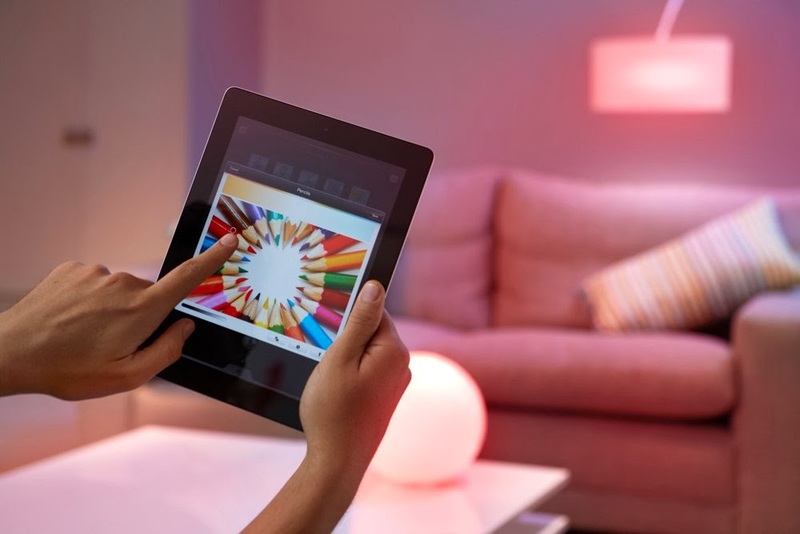 The Philips Hue wireless lights are starting to sound neat...huh? You can order a started pack with the wireless bridge controller and three bulbs for $200. Individual bulbs run $60 each. The bridge can control up to 50 bulbs throughout your home. Okay, let's say you like the idea of setting the mood but the entire room lighting system might be too much. 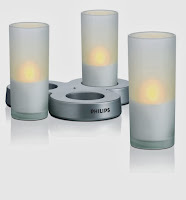 How about a beautiful set of Philips rechargeable candles. These soft flickering LED candles provide 20 hours of light and include their own charging cradle. A set of three runs $39 and can really change the look and feel of a room. A very nice gift. Is that all the holiday gift ideas? Nah, did you see any cameras, much talk about video games, audio/video or mobile storage solutions mentioned? 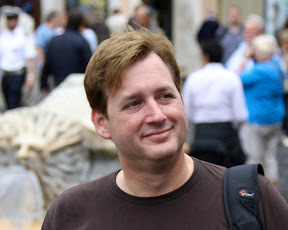 Would this be a Wouldn't Mind blog post without them? The previous list was just the ideas around getting you, your life, your friends and your home "in the holiday spirit". We'll cover the rest in the next post. Hope this helped get you started! Let me know if there are any categories of gift ideas or anything specific I should cover in the follow-up.